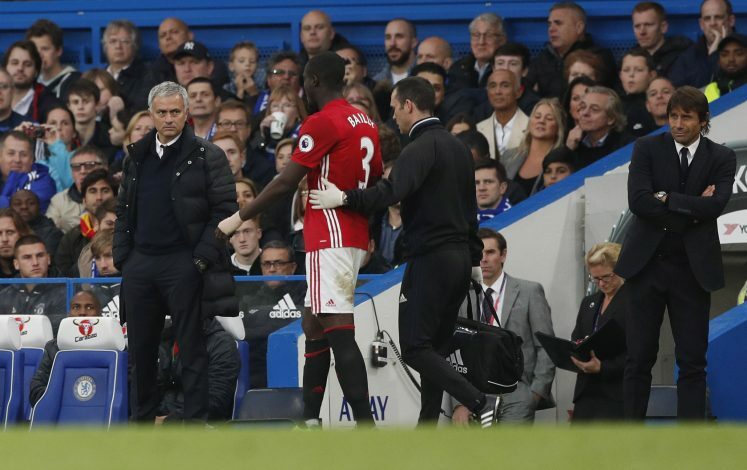 Manchester United boss Jose Mourinho has provided an update on the fitness of Eric Bailly, who has been sidelined since the international break. The Ivorian suffered an injury whilst on international duty with Ivory Coast, and was abstained for United’s goalless draw with Liverpool last Saturday, as well as their 1-0 win over Benfica in the Champions League on Wednesday evening. The Red Devils’ coach happened to preview their first trip to Huddersfield in 46 years in Friday’s pre-match press conference. Further, he was also asked numerous questions concerning United’s injury situation. The gaffer was happy enough to proclaim that Marcus Rashford would be available at his disposal for Saturday’s Premier League fixture, where they square off with ‎the Terriers. The Portuguese tactician conceded that he hopes for Bailly to be declared fit by next week, when the Old Trafford outfit travel to Swansea in the Carabao Cup on Tuesday, but before the clash with Tottenham Hotspur in the Premier League on Saturday. The gaffer also announced that he has a “feeling” that Swedish striker Zlatan Ibrahimovic might be declared fit for action well before the end of 2017.